Brief Impression (click on read more to see the full review): a play on a garden of fresh flowers surrounded by an earthy aroma and a sheer incense. 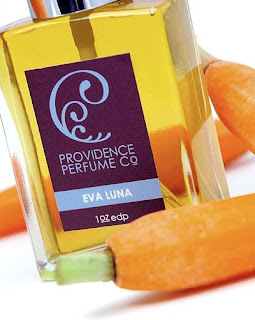 Inspired by one of Shakeaspere plays, A Midsummer Night’s Dream, Eva Luna by Providence Perfume Co is one of most complex Charna fragrances and as lovely as most of her offerings. Eva Luna is all about a midnight garden of flowers that exhale a scent which is half innocent and romantic and half sensual and dirty. It's a play on constrast, balances, an aroma that trick the nose with contrasts and variations of intensity on skin. 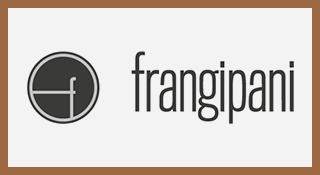 This play starts with an act where the contrast is concentrated on earthiness versus freshness. The first impression on skin is of a raw vegetable aroma, comming from the carrot note. The fresh ground aroma of carrot is emphasized by a secondary use of orris to provide a dry rooty facet to the carrot. Contrasting to this part of the opening there is a sheer green aroma, a mixture of the cool aroma of mint and the lemony bitter accent of the bois de rose. The second act of this play starts on the transition to the heart notes, with part of the freshness and earthiness being transported into the contrast of flowers. This is the most intense moment of Eva Luna, where the night achieves the point of the flowers exhaling their complex aroma. The dynamic here is around sensuality and innonence, with the sensuality being more proeminent then the innonence. Jasmine and tuberose creates a spring-like night of greeness and fruitiness with an illusion of a sweet milky nectar comming from the flowers. The combination is done seamlessly and it's hard to pick where the jasmine ends and the tuberose starts. Also mixed on them you have the discreet innocence of mimosa contrasting with the warm fruity aroma of frangipani flowers. The warmest moment of flowers last a considerable time on skin and it starts to fade only the main characters remain to the final act. Tuberose and jasmine starts to loose part of their sensuality and they fade into whispers of their innocent flowery aspect, which is enwrapped now into a musky aroma that gave them a velvety finish. And surrounding this flowery harmony there is a frankincense note that rescue part of the lemony bois de rose, transforming it into a sheer cloud of smoky and fresh incense that last until the moment where the curtains are closed, the moment where eva luna is not noticed anymore on skin. Eva Luna seems very classic on it division between the three acts and the transitions among them, but there is a modern touch on the douse of each character. 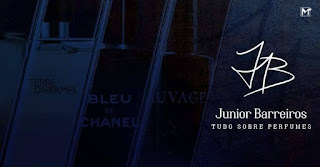 What could have been a loud dominance of jasmine and tuberose and being a summer night full of contrasts and little details that you should pay attention in order to appreciate the fragrance with most of its details. And altough its scent seems proper to spring and summer times, Eva Luna is a lovely act to be observed on a colder and gray day, providing a little bit of color and a dynamic warm.